Can You Really Have Smoothies On Keto? If you’ve chosen to follow the ketogenic diet, then you likely already know that most fruits are off limits. These foods are typically high in naturally occurring sugar, which means they’re high in carbohydrates—and a requirement of staying in ketosis is avoiding carbs so that your body burns fat (or ketones) instead of carbs (glucose, a form of sugar) for fuel. That’s why most fruit-based smoothies are on the no-no list. “One serving of fruit (about 1/2 cup) can contain 15 grams of carbohydrates—and most people eat more than one serving,” says Carlyn Rosenblum, R.D., founder of MTHR Nutrition, a concierge nutrition service for women. Example: One full banana—a staple ingredient in most smoothies—nets about 30 grams of carbs, so it’s unlikely you’d stay in ketosis if you drank a smoothie that had one. 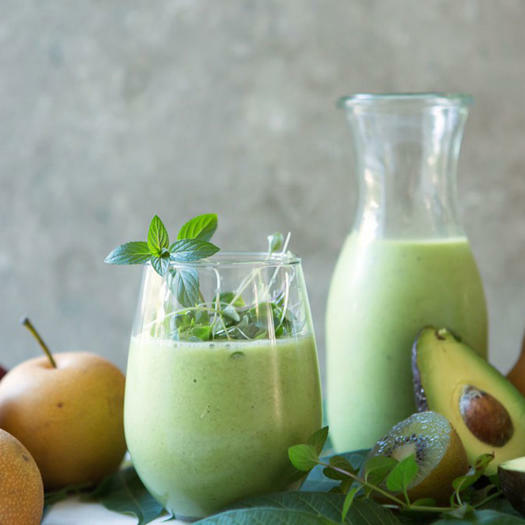 But there is a surprisingly simple loophole: Change your smoothie base from a fruit to a vegetable and—bam!—that smoothie is now keto-friendly. Rosenblum says to start your smoothie with foods like cauliflower, zucchini, or avocado, as they all provide the same creamy texture as fruit sans the carb overload. Then, add ingredients like coconut, vanilla, cacao, or cinnamon, as they provide a sweet flavor profile to balance out your veg-based beverage. 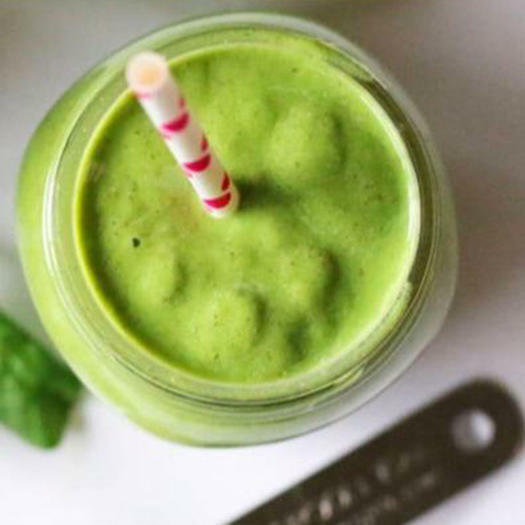 So, yes, keto smoothie recipes really do exist—the options below are proof. Other health benefits in this blend: “Coconut supports healthy skin and hair, cauliflower supports bone health, and cinnamon moderates blood sugar and is anti-inflammatory,” she says. When you’re so limited with your carb intake, every single gram matters. 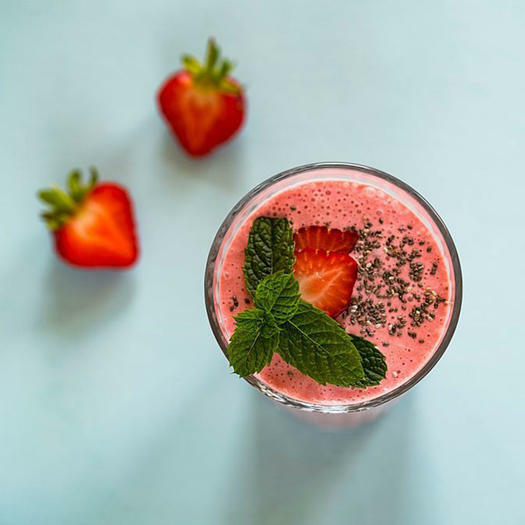 That’s why Mary Weidner, co-founder of Strongr Fastr, a keto-friendly meal planning and training app, says it’s important to mix up your milk choice when developing keto smoothie recipes. This one uses almond instead of whole milk, as it has 10 fewer carbs in an 8-ounce serving. There’s nothing quite as comforting as a steaming chai tea latte in the morning—but when you’re on the keto diet, the high sugar count is a deal-breaker. 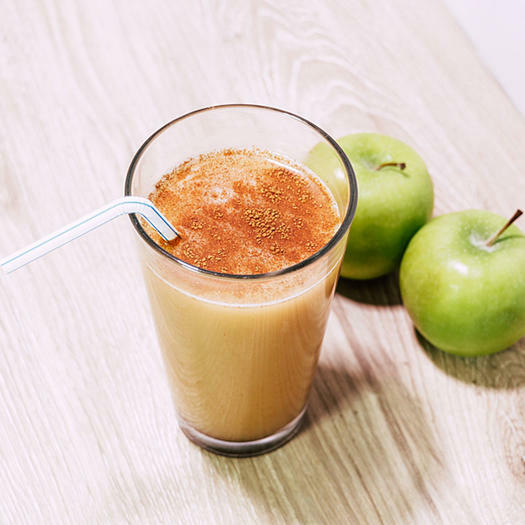 Jonesing for the flavor of chai without the carb crash, Martha Krejci of Juicin’ Mama brewed a few cups of chai tea the night before, stuck it in her fridge, then used it in this keto smoothie recipe the next morning. Mix with unsweetened almond milk, vegan vanilla protein, and a few shakes of cinnamon, and you have a keto-friendly chai breakfast that’ll hit the spot. 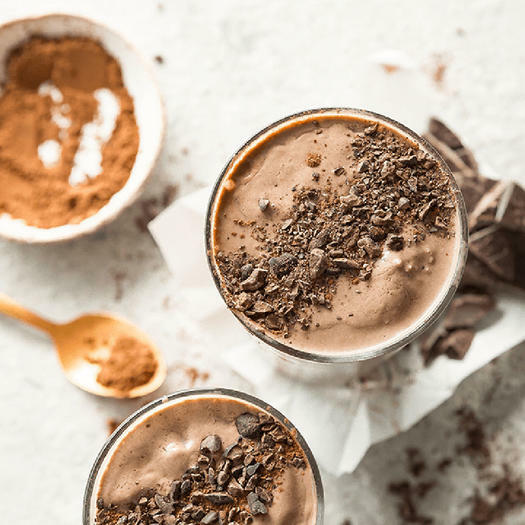 “This chocolaty treat is a keto-friendly smoothie to have on-the-go or as a light meal when you want something to lift your energy in a way that truly nourishes your body, as opposed to sugary drinks and carbohydrates that will leave you crashing and craving more,” says recipe developer Lizzy Swick, M.S., R.D. The macadamia nuts have healthy, monounsaturated fats and are low in protein, while the antioxidant-rich cacao helps keep your gut happy and inflammation at bay. Plus, it tastes like dessert, so you can use it to curb cravings for sweets. Bitter foods such as dandelion, chicory, and lemon, and herbs such as parsley, turmeric, and milk thistle all work to help your body digest the hefty amount of fats you consume while on the keto diet, says Swick. That’s why they’re in this green smoothie recipe; each ingredient works to provide digestive support for your liver, gallbladder, and digestive system so everything continues to operate full speed ahead (and so you don’t suffer from keto constipation). Everyone knows peanut butter provides a hit of healthy fats, but it’s not the only nut butter on the shelf. The sunflower variety can also help you get a head start on your daily fat count, says Ashley Walter, the certified nutritionist and personal trainer who developed this recipe. Plus, it provides a different flavor profile for anyone getting sick of their usual PB routine. 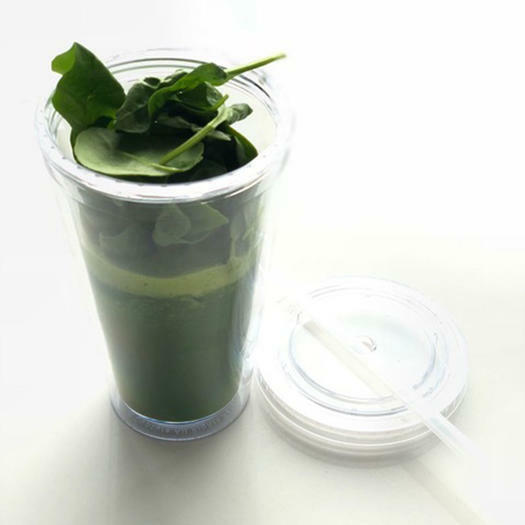 Be the first to comment on "Keto Smoothie Recipes That Won’t Kick You Out of Ketosis"